24/7 FastTrack™ utilizes a unique combination of viral marketing and relationship building. No system is more effective at exposing your business to the right audience (using high tech tools) and building a dynamic team of highly effective and productive leaders (using high touch techniques.) When you complete these 3 steps, your success is "virtually" guaranteed. 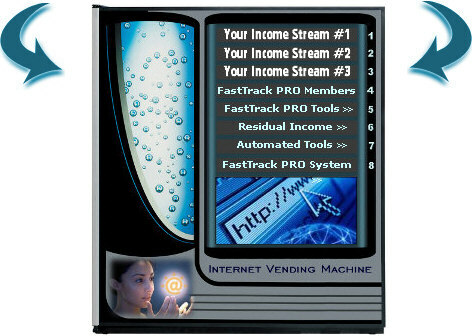 Using our tools or your own, drive highly targeted web traffic to your Internet Vending Machine. Check your email as your Internet Vending Machine sponsors members in your business 24 hours a day, 7 days a week. Our typical PRO member experiences 120-240 new automatic enrollments each year. 24/7 FastTrack™ uses specialized tools, NOT a person's abilities or skills to market our products. In fact, if you're not at all comfortable with giving presentations, that's great! We don't want you to. This system teaches you how to give out "homework" & conduct interviews in a non-traditional "consultative" environment. Therefore, neither you nor your prospect will feel uncomfortable at any time. Our job is not to sell or "close" people, but to introduce these powerful concepts in a non-confrontational manner. An example of this is what you're doing right now. By learning about 24/7 FastTrack™ through this website, you are making a decision if 24/7 is right for you. We will never have to sell you anything. Use 24/7 FastTrack™ with replicating web sites just like this one. Prospects can visit the web sites and the system will present your business and 24/7 FastTrack to them. If they are interested, they will contact you. If they're not interested, they'll simply leave the site. You see, it is totally non-confrontational and you don't even have to be at home to use the system. Use automated sponsoring tools that do more than 99% of the work for you. Most of our 24/7 FastTrack members utilize optional, multi-media Voice/Email Broadcasting and Global Responder Systems to automatically contact and follow-up with leads for years. The professionally designed and professionally written 24/7 voice scripts and email campaigns (along with exciting and compelling websites like this one) do 100% of the sifting, sorting, contacting, inviting, presenting, selling, closing and follow-up. With these tools, you only speak to members who have already joined your company, or in the worst case, prospects who ask you to contact them. When we introduce people to our products and/or e-commerce business opportunity, we are introducing the potential to improve their lives in many ways. Some people will see it and some won't. It is as simple as that. So the question to you is, "Do you see it?" If you don't, then we certainly appreciate your time and wish you the best of luck. If you do see it, or you have more questions, then keep exploring... the flawless logic of the system will become clearer with each page you read. It seems like it should be more complex, but it really is that simple. We cannot make someone see something they refuse to see. But we can introduce the concept to many people. We will end up with a small percentage of people who "get it", and a larger percentage of those who don't. It is simply a numbers game. The only way you can lose is to not try. K.I.S.S. Anybody Can Do It! Keep It Simple & Succeed. No matter how you choose to build your business we have a simple and duplicable system that fits like a glove. Our systems are so simple that they will work for anybody with motivation, desire, determination and a strong work ethic. If you are willing to invest at least 10 - 15 hours a week to work with proven leaders who lead by example, we have a risk free system for you! So how does this revolutionary system work? The simplicity of 24/7 is also it's beauty. You do not need any special skills, background, or education. 2. Drive traffic to your viral marketing sites and watch as the virus spreads. 3. Sit back and live your life while the 24/7 websites and tools do the presenting. 4. 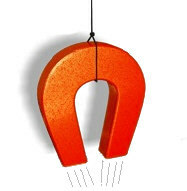 Once your prospects have been to your website, they will either enroll in your business or request more information. 5. Call your new team members and teach them to do the same thing. The System does most of the work for you. No rejection - you only talk with interested people. No chasing after anybody - people either see it or they don't. Simple - Anybody can teach and do it! Elaborate and complex marketing & sponsoring systems often look good on paper. In the real world - if they are not simple to use and duplicate - THEY DO NOT WORK! With 24/7 FastTrack, the secret to our success is that we have removed the mystery and complexity. OUR SYSTEMS ARE SO SIMPLE AND EFFECTIVE, WE GUARANTEE ANYBODY CAN USE THEM.